For three nights during August, the National Museum of Scotland opens its doors after hours, giving audiences a multi-genre spectacle of international Fringe talent programmed by the festival gurus here at The List. For the first of those three nights, on Friday 14 August, the main stage plays host to Seed: Advancement, where Japanese group Tenrindaiko blend taiko drumming and swordplay in a fast-paced display of rhythm and skill. 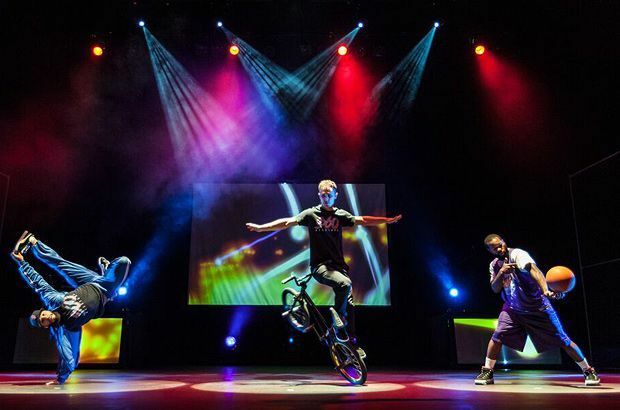 360 ALLSTARS present their urban take on the traditional circus, replacing jugglers and unicycles with professionals in disciplines such as basketball freestyling, breakdancing and BMX Flatland. If those acts don't get you moving, Discoteque Machine will. These dancers, or 'morphs', want to cure you of your dance floor shyness and they've an extensive soundtrack and a talent for imitation to help them achieve it. Those seeking to be amazed can join magician Kevin McMahon as he blends magic with science or Renz Novani, the Poet of the Impossible, as he performs card magic and sleight of hand accompanied by eloquent prose. Fans of spoken word poetry can listen to the musings of 'Stay-at-Home-Dandy' Luke Wright and 'Nerdsmith' Dan Simpson. As well as live entertainment across three stages this adults only event offers bars, street food and a chance to explore the galleries. National Museum of Scotland, 0300 123 6789, 14 Aug, 7.30pm, £16 (£14). Also 21, 28 Aug.